Bohemein chocolates are some of the best in Wellington (winner of the cuisine artisan awards in 2012), and- I confess- I have been known to sample them on a semi-regular basis. 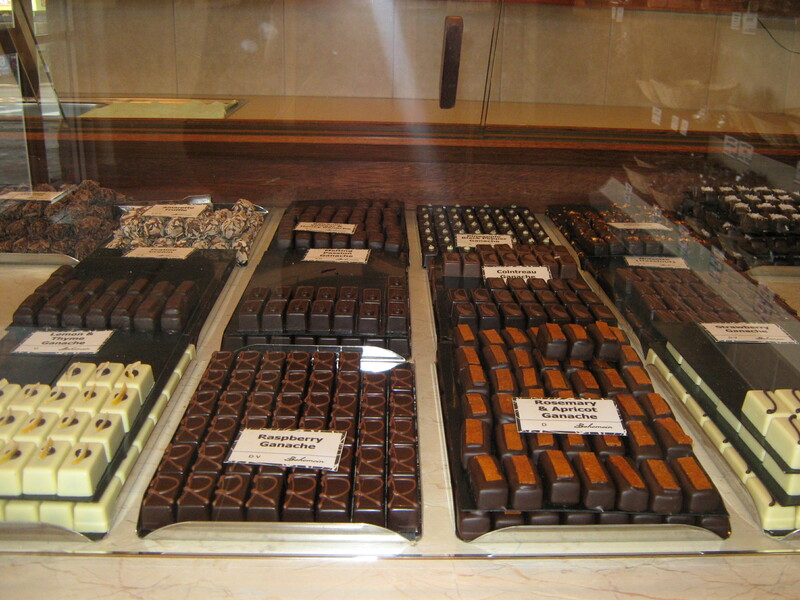 The fillings are truly amazing, and the chocolates themselves a work of art. And all made at the factory in Waitoa Road, in Hataitai. But on a more serious note, Jiri Havlik (George) and his staff deserve kudos for setting up this successful business and taking it to the point where they have opened a second store in Featherston Street, and are delivering throughout New Zealand. This is what we want more of in Wellington and in the Eastern suburbs, successful innovative businesses that employ local people and help strengthen the Wellington economy. (Disclaimer: Sarah features interesting businesses that seem to provide a great service. She receives no financial benefit whatsoever. Mention in this blog is not an endorsement as such – people are advised to do their own research into how well the business suits their particular needs).